﻿ Handy Library Manager, future reservations, bookings. Help, how to topics > Reservations > How to display future reservations? 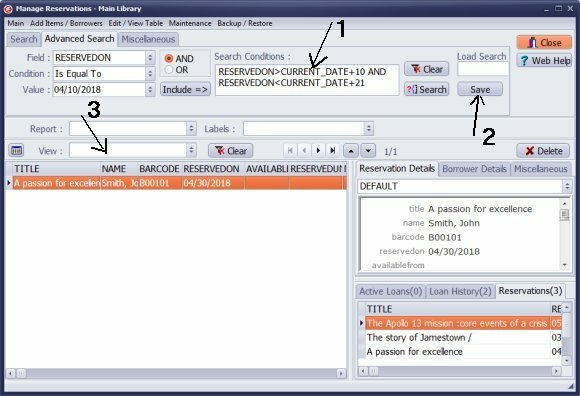 How to display and process future reservations? To display future reservations use Advanced Search. 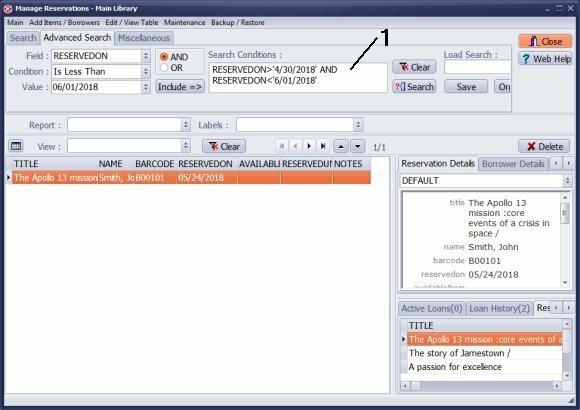 For example now is April/2018, to display only May/2018 reservations define the search listed in the Search Condition box (1). Use CURRENT_DATE (1) and define manually the search condition. You can save (2) the search definition and it will be listed in the View (3) box.